How do you stay ahead in the highly competitive and innovative shipbuilding industry? How can you increase your fabrication speed? Today’s ship building market is highly demanding due to its constant innovation-driven character. 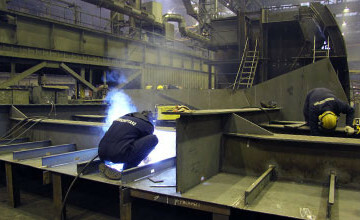 Individual shipyards have their own specific construction methods. Manual cutting methods can no longer meet those increasing innovation and extreme accuracy requirements. In order to ensure superb cutting accuracy, full design freedom and optimal weld preparation shipbuilders choose to automate their cutting process. HGG’s Pipe Shop Cutting Machines are automating and simplifying the way shipyards keep their welding booths supplied with enough spools cut to tolerance. Pre-fabricated piping parts need to be assembled under strict pipe shop regulations. 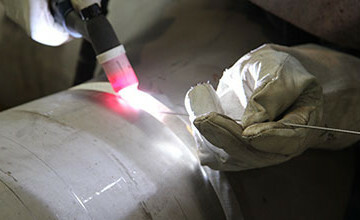 By automating the cutting process and applying smart weld preparation techniques the materials are ready for fast and easy fitting and welding. Most maritime vessels are made out of a large number of different in size and length stiffeners. Material handling, material sorting and part nesting are thus extremely complex. With the HGG’s Stiffener Cutting Machines you can achieve more than 70% reduction in manpower with the same throughput, as compared to existing manual systems. In only two years you have a full ROI on your machine.